The Bar 25 Funfair of Mayhem! As most will know, Berlin’s infamous and now sadly closed Bar 25 was a source of musical adventure, afterhours magic and circus fantasy throughout its reign as the cities most surreal adult playground. Keeping the circus spirit alive we invite you, our cinema with acrobats, clowns, magicians, fire jugglers, trapeze artists, lion tamers and tightrope walkers (eeer…kinda!) to experience the lost but not forgotten land of Bar 25 right here in London. Bar 25 follows the creators of Berlin’s legendary Bar25, four young individuals who turn social conventions upside down as a counterculture in the 21st century. Their freewheeling way of life, music, individuality and never ending energy transforms a riverside wasteland into a fantasyland by the river Spree. Bar 25 is a wonderland-night-and-day-club in Berlin, an enchanted adventure playground where adults become children again. Lotta, Danny, Christoph and Juval live as a community on the grounds of the bar, sharing a trailer and a toilet despite the fact that the bar makes close to 2 million Euros in revenues per year. The film investigates the ambivalence of the community, of these so-called ‘business hippies’, questioning whether their form of living is valuable and authentic or if their hedonistic never-ending parties are a mere form of escapism. Bar25 means endless dancing, swings that fly right up into the sky, mud wars and confetti baths with pirates, cowboys and Indians. It is a place to live, to drink, to dance, to create- a nightlife venue and daytime workspace, a wellness oasis and gourmet mecca. Worlds away from society’s conventions and norms, it became the melting pot from which a truly Berlin culture emerged. With the growing success and pressure, the ideals of the group begin to crack. The film investigates the discrepancy between ideology and the desire of freedom. Don’t miss out !!! 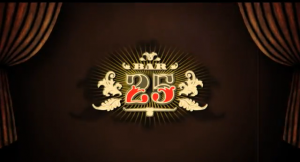 BE AWARE THAT THE BAR 25 FILM WILL BE SHOWING ONLY ONCE IN LONDON !! !